When it comes to wedding dresses, it seems one of the biggest trends right now is to choose something with sleeves. In fact, thanks to the Duchess of Sussex and that incredible Givenchy gown, styles with full sleeves seem to be popping up everywhere. 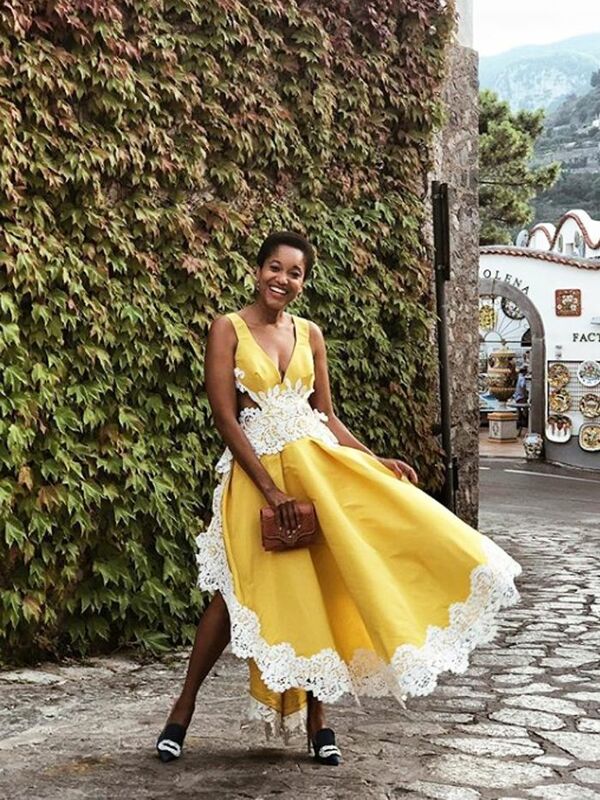 Pinterest UK has reported a 75% increase recently in pinning activity around wedding dresses with sleeves, which also ties in with an overarching bridal theme right now of true comfort: as well as arm coverage, brides are opting for high necklines, flat shoes and jumpsuits too. Really, it should come as no surprise, as we all know just how elegant a full-sleeve frock can be—some of the most iconic bridal gowns of our time have beautiful sleeve detailing, from Princess Diana's puffball extravaganza to Solange Knowles's minimalist cape. Whether you've been inspired by Meghan, your nuptials are in winter and you need protection against the chill or you simply want to cover up your arms for a super-flattering silhouette—a sleeve is an undeniably chic option for your big day. Jessie Bush of We The People Style wearing a long-sleeved wedding dress from Charlie Brear. Just how easy is it to find the one? 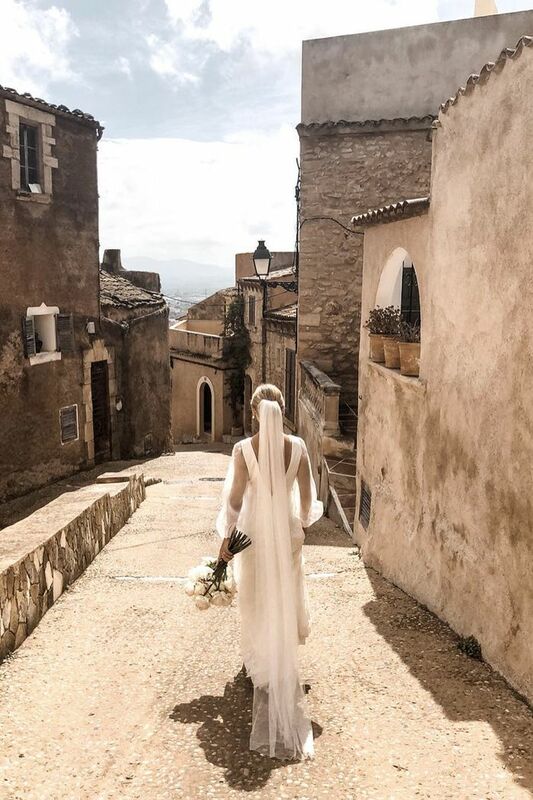 A quick search from some of our favourite wedding dress destinations—think ASOS, French Connection and The Outnet—shows a number of iterations from classic to boho and from lace to minimalist minis, you'll be hard pushed to make a decision here. Keep scrolling to see our edit of the best out there right now. ASOS has so many affordable wedding dresses right now, including this pretty number complete with lace sleeves and a tulle skirt. This style is perfect for a city ceremony. If you're looking to cover the tops of your arms, try this beautiful gown from Zac Posen. Long sleeves needn't mean long hemlines. Raey has your structured minidress. Or why not try a crop top–and–maxi skirt combo? Super-size sleeves are trending. Just add gold strappy sandals and delicate jewellery to finish. Introducing the coolest new bridal brand. Looking for a dress to wear long after the wedding? Try this. A sheer floaty sleeve is ideal if you love the boho look. For an understated lace dress, try Ganni. Another winning option from ASOS. Fashion brides should head straight for Reformation and slip into the Winslow. This high-neck option is undeniably chic. This simple satin style will be so flattering on. Looking for something nontraditional? Style this belted dress with standout heels and a small bouquet of wild flowers. Stella McCartney famously dressed the Duchess of Sussex in that halter gown for the evening 'do, and we think that's as good of a reason as any to wear the designer for the main event too. Style this with flats and a floral garland for a country wedding. If classic isn't your thing, try this asymmetric option from Preen. Phase Eight has so many great wedding dresses with sleeves, including this beautiful lace iteration. For something fun, try Ted Baker's embellished midi with sheer sleeves.